Ola has launched its auto hailing service in Chandigarh. It is the 7th city in the country to have the service, after Bangalore, Chennai, Delhi, Ahmedabad, Hyderabad and Pune were added in October 2014. The company intends to add two more cities by the end of the year. 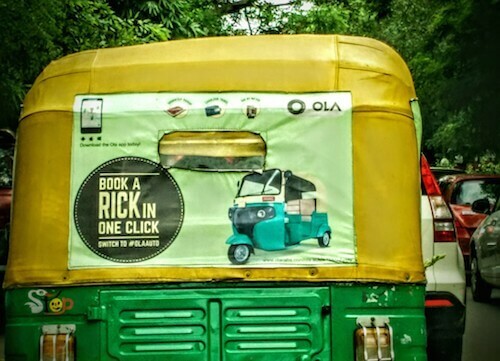 “With over 1,000 autos already registered on the platform in Chandigarh and over 75,000 across the country, we make the experience of hailing, tracking and payment, seamless for users”, said Anand Subramanian, Senior Director- Marketing Communications at Ola. A base fare of Rs 14 will be applicable for the first one km and Rs 7/km thereafter. An additional convenience charge of Rs 10 will be payable to the auto driver over and above the fare along with a ride fare of Re 1/minute. Night charges would be 1.25 times the normal fare. Customers can choose to pay their fare in cash or through Ola money. Interestingly, Ola’s chief rival in the on-demand auto segment, Jugnoo, had begun its operations from Chandigarh. It now operates in Delhi, Gurgaon, Indore and Mumbai and Jaipur.